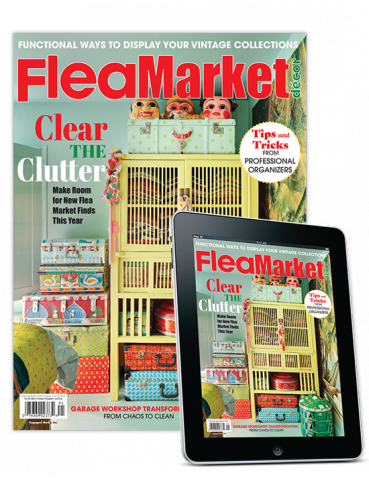 Flea Market Decor magazine will help you bring your home from bland to beautiful on a budget. In every issue you will find everything you need to empower your inner "junktiqueing" extraordinaire. From advice from antique dealers, inspirational stories from home owners to tips from interior design experts all illustrated with gorgeous color photography.